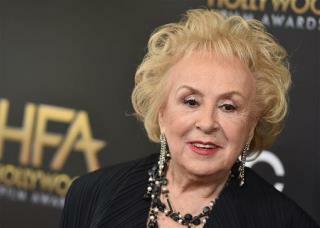 (Newser) – Doris Roberts, who played the much-loved mother on Everybody Loves Raymond and enjoyed a diverse career for more than 60 years, died Sunday in Los Angeles, TMZ reports. She was 90 years old. The winner of five Emmys (four on Raymond and one on St. Elsewhere), Roberts acted in an eye-popping range of plays, TV shows, and films, and wrote a best-selling 2005 memoir that mixed anecdotes and recipes, per the Hollywood Reporter. "Truly the end of an era," tweeted Patrica Heaton, who acted alongside Roberts on Raymond. "[Roberts] was funny and tough and loved life, living it to the fullest." The St. Louis native made her mark on Broadway in the 1950s and went on to act in several films, including Something Wild (1961), Barefoot in the Park (1967), and The Heartbreak Kid (1972). Very sarcastically funny old broad. RIP. Great Actress! RIP Doris! Your TV & MOVIES will live on! There ya go ALL!